TOWIE and Strictly Come Dancing star Mark Wright raises the fashion stakes as he hosts this year's glamorous Style Birmingham Live. Joining him will be Lady Gaga's stylist Mark Heyes, who will be at hand to give out fashion tips to the audience. Other highlights include the new collection for Lipsy by Mark Wright's wife Michelle Keegan. Birmingham's historic and spectacular Gas Hall is the venue for six fashion shows during Saturday September 26 and Sunday September 27, 2015. There are shows at 11am, 1pm and 3pm on each day. Presenter Mark Wright will get the audience fired up with his roving mic during each fashion shows at Style Birmingham Live. He'll be giving fans plenty of opportunities for some celebrity selfies while a DJ and bar will also add to the vibrant atmosphere in Gas Hall before the fashion show begins. Gas Hall, which is part of Birmingham Museum and Art Gallery, normally hosts grand art exhibitions including Andy Warhol prints at the recent Love Is Enough show. But for one weekend only, Gas Hall will be transformed into 'The Fashion Theatre' to showcase the latest autumn/winter styles and collections from a host of high street retailers and shopping centres. Audiences will get a peek at on trend fashions from brands including Karen Millen, Radley, Coast, Jigsaw, House of Fraser, Moss Bros, Reiss, New Look, Jones Bootmaker, Debenhams, Marks & Spencer, Hawes & Curtis and Lipsy. 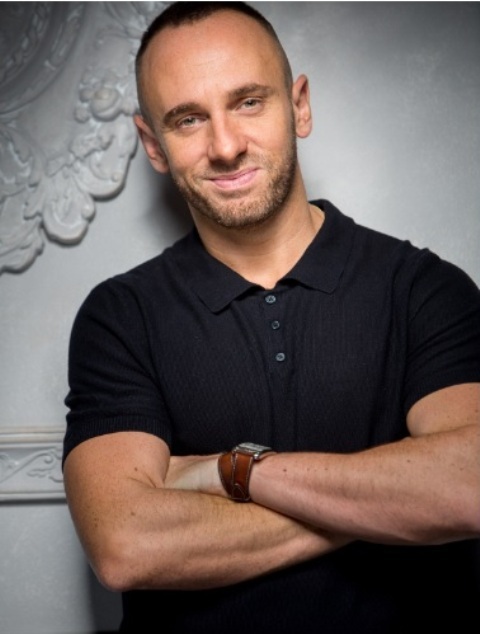 Fashion and style advice is provided by one of Britain's most trusted fashion stylists - ITV1's Mark Heyes. He is best known for his regular fashion slots on morning TV with Lorraine Kelly as well as his host of celebrity clients including Lady Gaga and Cat Deeley. In terms of hair and beauty, award-winning hair salon Francesco Group will be demonstrating the hottest hair trends; Make Up For Ever showcase the latest fashions in make-up and nails; and a professional artist for Bobbi Brown will give ticket holders an exclusive make-up masterclass as part of House Of Fraser Backstage Beauty events. All ticket-holders get entry to a catwalk show, a welcome drink on arrival and an exclusive goody bag, along with special offers from retailers and Birmingham Museum and Art Gallery. Steve Hewlett, from Retail Birmingham, which has organised Style Birmingham Live, says: "Gas Hall is a spectacular, grand venue for the catwalk show with Mark Wright and everyone gets a seat with a great view of the fashion." He adds: "This year's event is going to be the best yet and we've got a few surprises planned too. Style Birmingham Live will be unmissable, especially if you are into fashion, beauty and shopping." Shows at 11am, 1pm or 3pm. Tickets cost £16.50 for a show and are available from the Ticket Factory website.